On 28th March 2018, there has been a great meeting between SIMPLE project’s representatives Dr. Jana Mandikova and Dr. Jana Hummelova, from Czech University of Life Science Praque and a Deputy-director of the Division of Academic Affairs Mr. Touch HengVann. This meeting has mainly focused on students who already attended/ are now being attended internship program with private sectors. 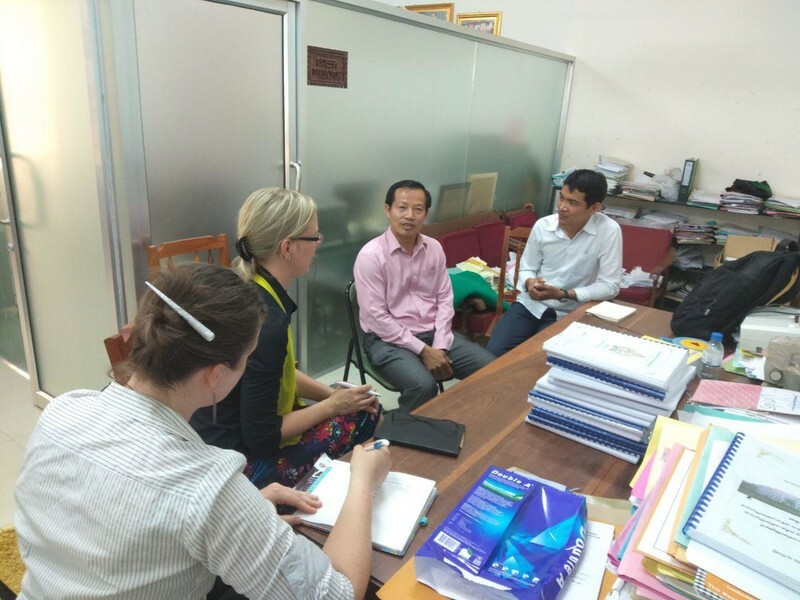 At the same day, the SIMPLE project’s representatives has also discussed with Mr. EK Sopheap, a Vice-dean of the Faculty of Agro-Industry, about experiences, problems, progresses or future jobs of students attended internship programs with private sectors. On 29th March 2018, there has a great visit to Angkor Diary Product Company where is not far from the Center of Phnom Penh, Cambodia. This visit aimed to discuss with the company about students’ internship program and to meet students doing internship there. 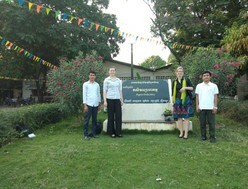 SIMPLE project meeting at Angkor Dairy Product brought fruitful outputs for improving internship program and cooperation with the Royal University of Agriculture, Cambodia. At the same day, the SIMPLE project’s representatives has also discussed with Mr. Lour Lytour, a Dean of the Faculty of Agricultural Engineering and former students attended internship programs with private sectors and evaluated internships program at the Royal University of Agriculture with SIMPLE project representatives from Czech University of Life Sciences, Prague.